NeuRA (Neuroscience Research Australia) is a world-leading institute in Sydney, Australia. NeuRA is affiliated with UNSW (University of New South Wales), which is ranked in the global top 100 universities, and Prince of Wales Hospital, a major teaching hospital. Our research spans all aspects of neuroscience from the brain to the peripheral nerves and beyond. We are translating laboratory research to the clinic, from the cell to the community. Our students are future research leaders. In our vibrant research environment our students are supervised by internationally recognised experts in neuroscience. The prestigious institute with a 20-year history of high-quality research has over 30 established full-time researchers based at or affiliated with NeuRA. Honours, Masters or PhD student have the opportunity to study in a custom-built neuroscience facility and work in a community of world leaders. The Degrees of NeuRA researchers are awarded through UNSW. See examples of current projects here. To see what research projects are currently available for Honours and PhD students, please read this PDF. NeuRA is located in the eastern Sydney suburb of Randwick, 5 minutes from the beach and adjacent to UNSW and the Prince of Wales Hospital hub. Randwick is home to exciting shopping, cafes, cinemas and bars and close to Sydney’s most popular suburbs for dining and nightlife. NeuRA is 5km (3 miles) from downtown Sydney and well connected by bus. Student accommodation is available on UNSW campus or in the neighbouring inner-city suburbs. 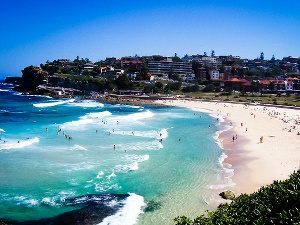 NeuRA is in walking distance to the stunning beaches of Bondi, Coogee, Maroubra and Bronte and a short distance from major parks and recreational facilities. The climate is mild throughout the year with an average maximum temperature of 26°C (79 F) and minimum of 9°C (48F).